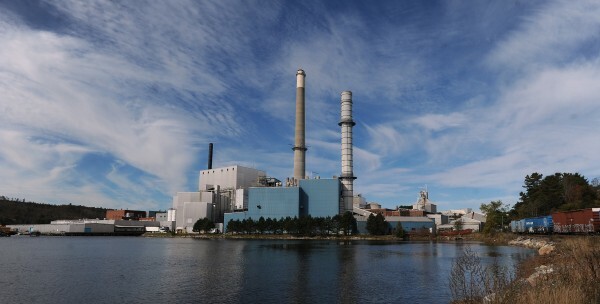 The CEO of Verso Paper Corp. said the cost of delivering natural gas to the company’s paper mills in Jay and Bucksport during the first quarter of 2013 increased $22 million from the same period last year. “One of the significant issues for us during the quarter was the delivered price of natural gas to our two mills in the state of Maine,” said David Paterson, Verso’s CEO, in a conference call with analysts Thursday. Verso, based in Memphis, Tenn., reported a net loss of $38.4 million in the first quarter of 2013, according to its quarterly earnings report. The reason for the large increase in natural gas is rising transportation costs, said Robert Mundy, Verso’s chief financial officer. “The cost to get the gas delivered to these facilities went to unprecedented levels beginning around November of last year through March of this year,” he said. Verso spokesman Bill Cohen said it seems paradoxical when natural gas is abundant in the Marcellus Shale area in Pennsylvania and New York, but “it’s not a lack of gas, it’s a lack of transportation capacity into New England,” he said. “The cost of delivering gas [to the Jay and Bucksport mills] approached eight or 10 times the cost of the gas itself at certain periods,” Cohen said. The pipeline that brings natural gas into New England is not sufficient to meet the demand in the region, company officials said. That’s worsened by a long winter and regional and global competition for natural gas. Improving natural gas delivery in New England is not a quick fix. “It’s going to require investment in infrastructure; it’s going to require new supplies or new sourcing,” Paterson said. To Paterson, Maine’s problem is location. Being situated “at the end of the pipeline, so to speak, [and] relying on other states to give us access to gas,” has hurt the state. To avoid the same problem next winter, Verso is developing “hedging strategies” to protect against volatile delivery costs and will look for ways to reduce its natural gas use in the future.